When you hear “Venice,” you probably think of ancient architecture, canals and perhaps delicious pasta. 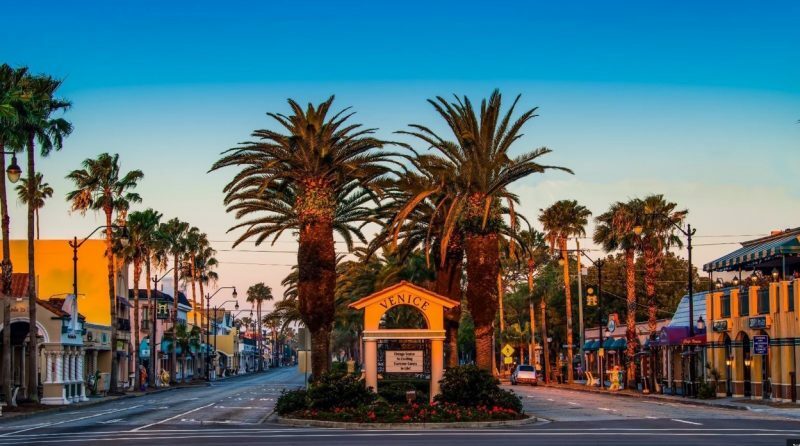 But Venice, Florida, named after its Italian cousin, has many attractions in its own right — particularly for the avid equestrian. 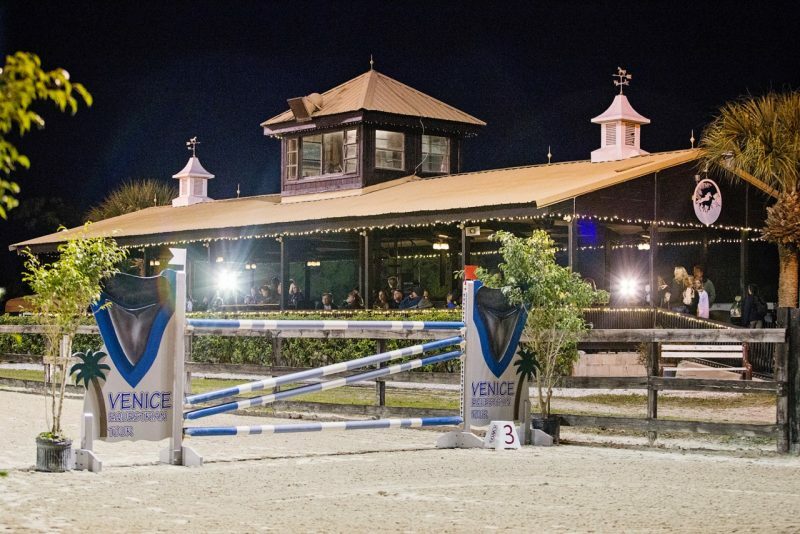 On Florida’s west coast, Venice is home to Fox Lea Farm, which currently produces 12 “A” rated shows, 6 “B” rated shows and 17 $25,000 Grand Prix each year. 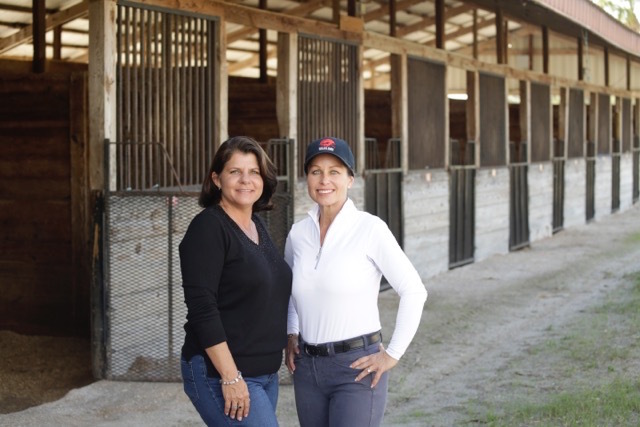 Kim Farrell and Laurie Birnbach — the power behind the success of the Fox Lea Farm horse shows. Kim Farrell, COO of Fox Lea Farm, has lived in Venice since her family moved there when she was 9 months old. “I originally started riding because I was a hyperactive child and my parents sought out a sport to keep me active in a positive manner,” said Kim. She started riding ponies at 4 ½ years old, and began showing on the A circuit by the time she was 7. “My family loved the family atmosphere of the horse shows and decided to build their own facility in 1983,” Kim related of the birth of what’s now Fox Lea Farm. 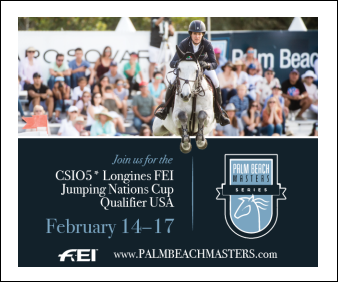 Kim’s mother, Linda Aldrich, set out to develop a facility that was family-friendly with safety foremost in mind for both riders and horses. 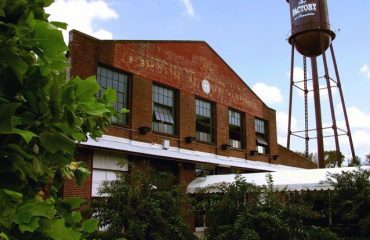 The shows held at Fox Lea continued to grow and multiply, and after Kim earned her graduate degree in 1998, she took over management of the shows herself. 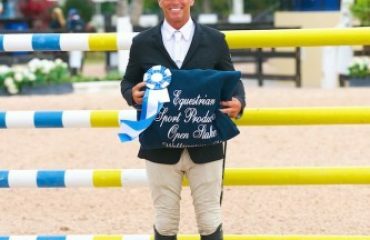 Kim’s husband, Clay Farrell, is a professional hunter-jumper rider and trainer: he even trained Kim to the AQHA Reserve World Championship in Amateur Equitation Over Fences in 2004. And who better to guide other equestrians around their hometown of Venice? Beginning with a place to stay, Venice has plenty of options — from beach hotels to the luxury of the Ritz Carlton in nearby Sarasota. 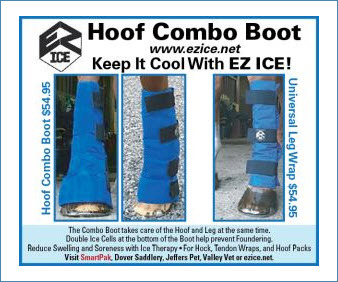 “The exhibitors looking to combine vacationing with horse showing sometimes stay at the Inn at the Beach,” said Kim. 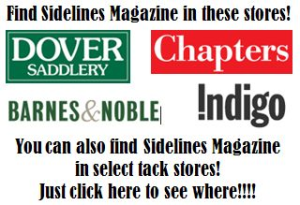 “Located near Venice MainStreet, it’s an easy walk or bike ride to your favorite restaurants and stores. 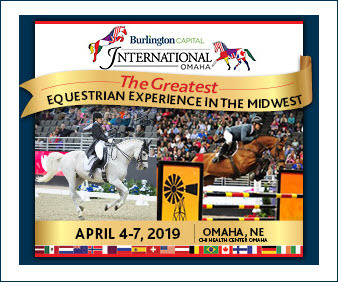 Of course, the Ritz Carlton name speaks for itself, and is just 30 minutes from the horse show. 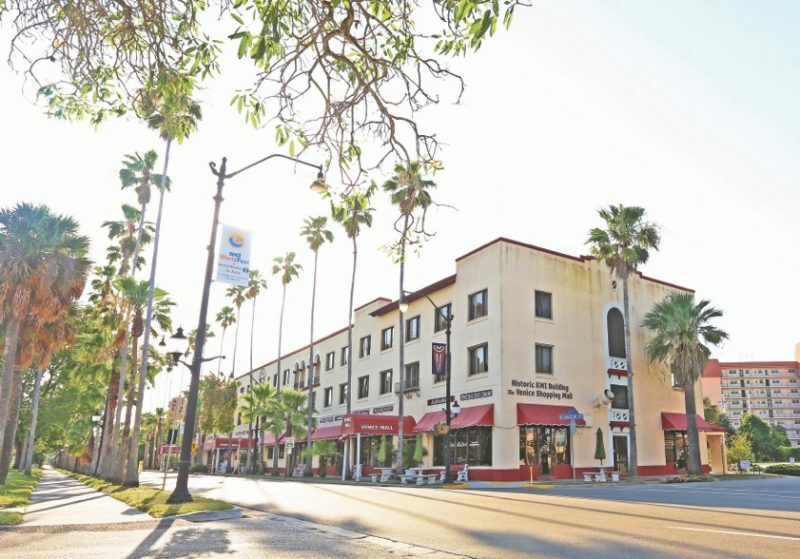 “This area boasts great shopping and dining in St. Armand’s Circle, as well as one of the top beaches in the world, Siesta Key Beach,” said Kim. 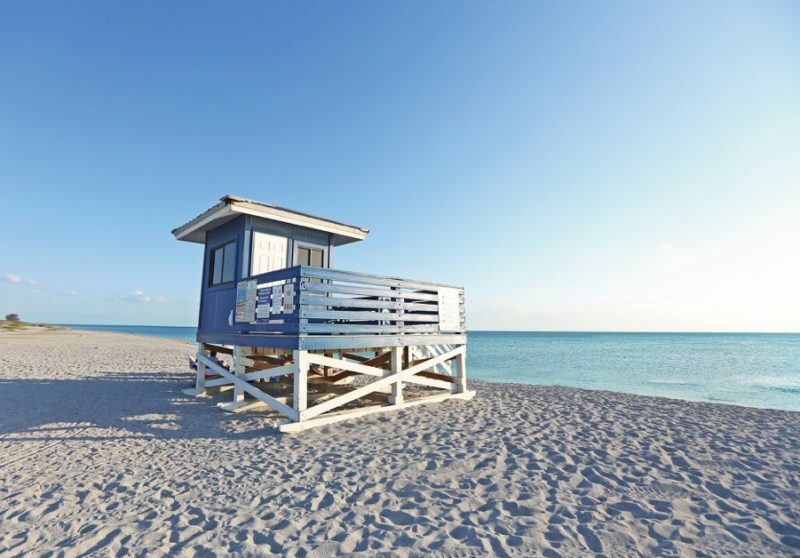 Whether staying in a modern and clean resort such as Fox Lea Farm’s horse show host hotel Venezia by Ramada or a private beach bungalow, Venice has plenty to keep you busy — beginning with the beaches. “We’re known for our beaches,” said Kim. “The whole coast is made up of beaches with plenty of parking for the public.” Kim also shared that Venice is considered the Shark’s Tooth Capital of the World for the fossils that wash up, especially at the Caspersen’s Beach, and are easier to find after a storm or if there are big waves. “A fun and unique experience — especially for horse show people — is Dog Beach, right next to Caspersen’s,” Kim recommended. “You can bring your furry friends, and they can enjoy a romp in the surf right along with you! To keep with the salt water theme, a must is to visit the Jetties. 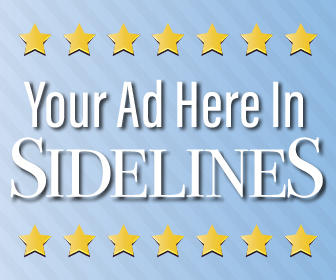 Many bring their fishing poles and enjoy an evening out.” For more family fun, nearby Sarasota brings attractions such as Mote Marine Aquarium. When you’ve worked up an appetite, Venice is ready to answer the call. “Venice has many lovely restaurants and cafes. 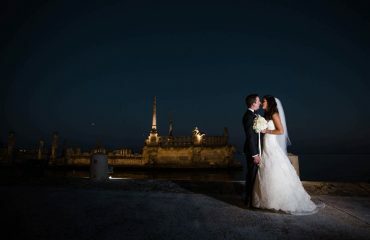 I always enjoy going to one of the restaurants by the water,” said Kim. Among her favorites is Snook Haven, located on the Myakka River in a true piece of Old Florida. “If you watch closely, you’ll probably see an alligator. 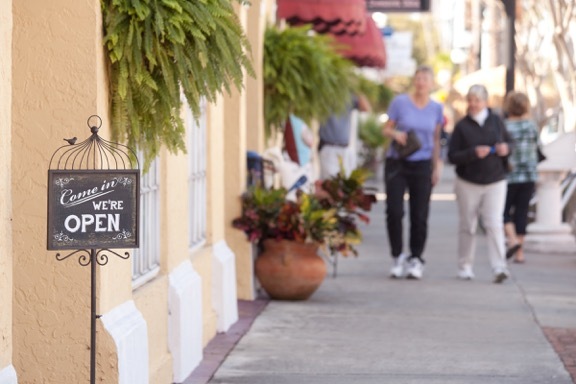 This is a great experience to see old, untouched Florida.” Snook Haven serves old-time favorites such as gator bites and catfish, but also includes updated smokehouse and barbeque fare. The Farrell family founded Fox Lea Farm in 1983 and running the show is a family affair. 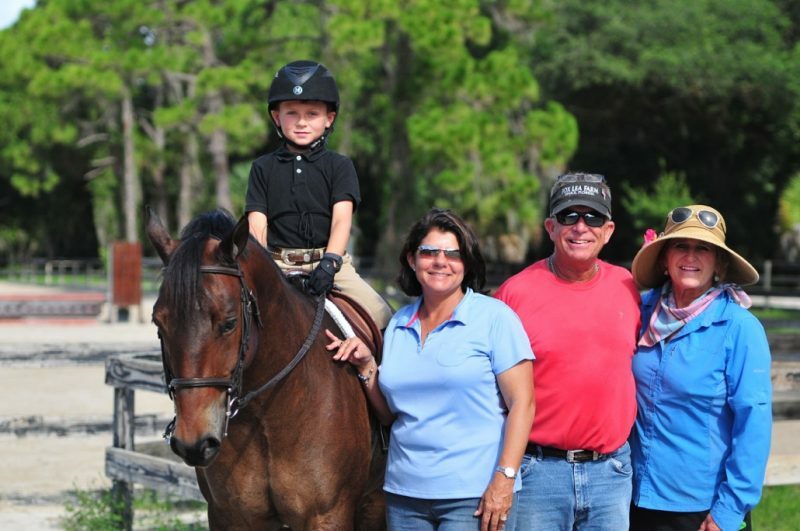 From the left: Clayton Farrell on his pony Best of the Best, Kim and Clay Farrell and Ann Pennington, Clayton’s co-trainer along with his dad Clay. Other favorites include Café Venice on Venice’s main street, Venice Avenue, where Kim recommends the crab cakes and the remoulade; La Petit Jardin, a French restaurant near Fox Lea Farm known for both sweet and savory crepes; and Captain Eddie’s, with a tiki-style outdoor dining experience as well as indoor dining and a fresh seafood market. For a high-end experience, you’ll forget that you’re in Venice, Florida, instead of Venice, Italy, at Cassariano Italian Eatery. MainStreet also hosts a score of clothing stores, accessory name brands and interesting boutiques, as well as many sidewalk-café-style dining options. Satisfy your sweet tooth with homemade truffles, fudge or sea salt caramels at Kilwins, or drop in to Ciao Gelato, Venice Ave. Creamery or the Soda Fountain. 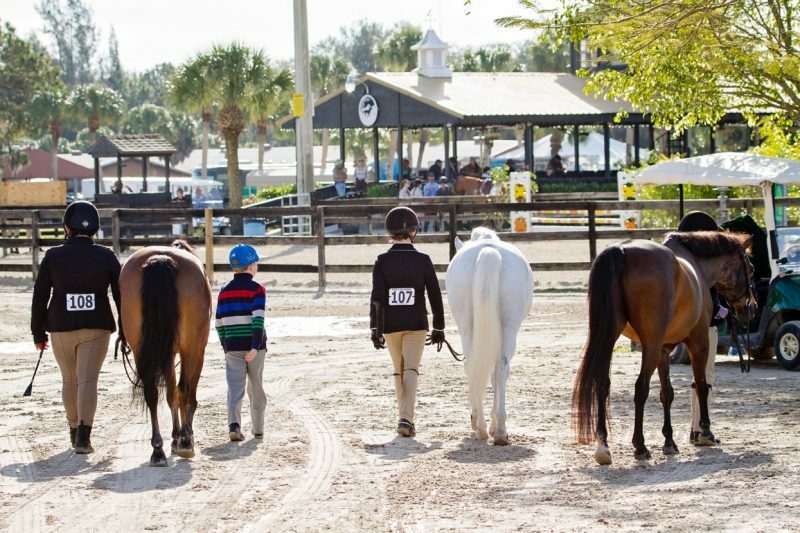 Palm trees and ponies make for a great combination at Fox Lea Farm. 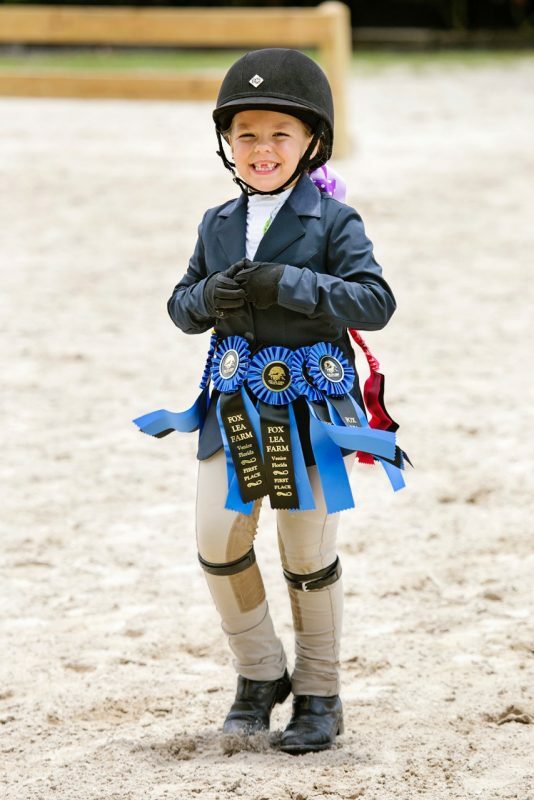 A young rider is all smiles during a Fox Lea Farm horse show. To plan your Venice, Florida, trip, visit www.visitsarasota.org. For more information on Fox Lea Farm, go to www.foxleafarm.com.